• Eighty original comic strips hand-drawn by Charles M Schulz, of Peanuts fame, are on show at Somerset House on the Strand along with many of his personal effects and interactive installations in an exhibition marking the 70th anniversary of the creation of iconic character Charlie Brown. Good Grief, Charlie Brown! Celebrating Snoopy and the Enduring Power of Peanuts looks at the impact of the comics on the cultural landscape, from 1950 to now, and, alongside works by Schultz, features responses to them by 20 figures from the worlds of art, fashion and music. The comic strips are showcased in their original state and size – complete with inky thumbprints and correction marks – and sit alongside vintage Peanuts products and publications as well as correspondence between Schultz and people such as Billie Jean King and Hillary Rodham (now Clinton). Along with interactive displays including a real-life re-imagination of Lucy’s Psychiatric Help booth, light boxes where people can learn to draw the Peanuts characters and a Snoopy Cinema, here are also three large-scale lights installations illuminating the entrance to the exhibition. This landmark exhibition can be seen until 3rd March. Admission charge applies. For more, see www.somerset.org.uk. • Newly acquired contemporary artworks by Pacific Island artists are at the centre of an exhibition re-examining the relationship between Captain James Cook and the peoples of the Pacific Ocean which is running at the British Museum. 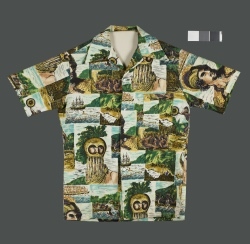 Reimagining Captain Cook: Pacific Perspectives also features historic artefacts including Cook’s personal possessions and the British Museum’s oldest example of a Hawaiian shirt (pictured). Among the 14 contemporary artworks are eight specially acquired for the exhibition and all are in some way a response to Cook’s voyages to places including Australia, New Zealand, New Caledonia, Hawaii, Vanuatu and Tahiti. They include Maori artist Steve Gibbs’ Name Changer – an attempt to restore awareness of the traditional Maori names for the region around Gisborne in New Zealand, and a work by the Aboriginal photographer and artist Michael Cook, Civilised #12, which reflects on the legacy of William Dampier, the first Briton to visit Australia (before Cook). The display can be seen in Room 91 until 4th August. Admission is free. For more, see www.britishmuseum.org. PICTURE: ‘Hawaiian’ style vintage cotton shirt, decorated with designs from drawings done on Captain Cook’s voyages, Hawaii, 1970-1980. © Image The Trustees of the British Museum. • An exhibition marking the 80th anniversary of the Kindertransport is running at the Jewish Museum London in Camden. Remembering the Kindertransport: 80 Years On tells the story of how in 1938-39, the British Government allowed 10,000 Jewish and other ‘non-Aryan’ children from Nazi-occupied Europe to come to Britain in a rescue operation which became known as the ‘Kindertransport’. It features the children, now in their 80s and 90s, telling their stories on film as well as personal objects and artefacts they brought with them from their homelands. Also on show is a photographic exhibition – Still in Our Hands: Kinder Life Portraits – featuring archival photographs and portraits of former Kindertransportees and another – My Home and Me – which, held in partnership with the British Red Cross, explores the journey of young refugees arriving in Britain today. The exhibition, which is being accompanied by a series of events, runs until 10th February. Admission is free. For more, see www.jewishmuseum.org.uk/kindertransport. • The first UK show dedicated to the works of Norwegian landscape painter and printmaker, Nikolai Astrup, opens at the Dulwich Picture Gallery tomorrow. 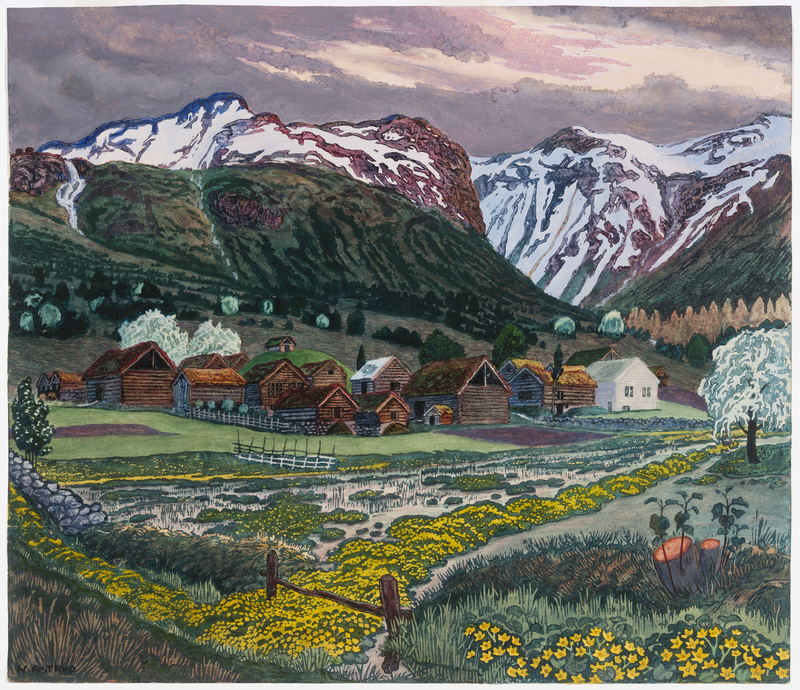 Painting Norway: Nikolai Astrup (1880-1928) features more than 120 paintings, woodcuts and archive material – many of public display for the first time. Astrup is described as one of Norway’s finest 20th century artists and long with Munch, expanded the possibilities of woodcuts to capture the wild landscapes and traditional way of life in his western Norway home. Works on show include everything from the woodcut A Clear Night in June (1905-07), the many coloured masterpiece A Night in June in the Garden (1909), and the celebratory Midsummer Eve Bonfire (1915). Runs until 15th May. Admission charges apply. The gallery is also hosting a series of related events. For more, head to www.dulwichpicturegallery.org.uk. PICTURE: Marsh Marigold Night, c.1915 – The Savings Bank Foundation DNB/The Astrup Collection/KODE Art Museums of Bergen. Photo © Dag Fosse/KODE. • Bruegel the Elder’s only three surviving grisaille paintings have been brought together in a new exhibition opening at the Courtauld Gallery at Somerset House today. The works, painted in shades of grey, include the Courtauld’s Christ and the Woman Taken in Adultery as well as The Death of the Virgin (brought from the National Trust-managed Upton House) and Three Soldiers (borrowed from the Frick Collection in New York. They’re among the less than 40 works attributed to the artist (c1525-1569) and while The Death of the Virgin was owned by his friend, map-maker Abraham Ortelius, Christ and the Woman Taken in Adultery was one of few paintings kept by the artist himself. The exhibition Bruegel in Black and White: Three Grisailles Reunited also includes replicas made by Bruegel’s sons as well as other grisailles while other works by Bruegel from the Courtauld’s collection will be displayed in the Butler Drawings Gallery. Runs until 8th May. Admission charges apply. 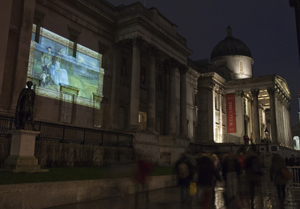 For more, see www.courtauld.ac.uk. • Head to Kew Gardens for a splash of colour as the annual Orchid Festival kicks off in the Princess of Wales Conservatory on Saturday. And, following the success of last year’s events, the conservatory will once again throw its doors open after dark on the 11th, 18th and 25th February and 3rd March for Orchid Lates at Kew Gardens (there’s also a special Valentine’s Late at Kew Gardens on 13th February). Admission charges apply. For more, head to www.kew.org. • The British Museum has unveiled a new audio guide to provide the museum’s 6.7 million annual visitors with a new way to interact with its permanent collections. The guide comes in 10 different languages as well as in British Sign Language, an updated and improved audio descriptive guide and a “family game guide” for children to play with their parents. It boasts 70 new commentaries detailing the most recent research on key objects as well as new tours for China and A History of the World, a highlights feature and Top 1o tour, stunning new photography and a ‘My visit’ feature which sends visitors a visual record of their visit by email. The guide is available for hire at the Bloomsbury institution. See www.britishmuseum.org for more. • On Now: Soaring Flight: Peter Lanyon’s Gliding Paintings. The first exhibition devoted to the post-war artist’s gliding paintings, this display at the Courtauld Gallery in Somerset House explores Lanyon’s (1918-1964) pioneering artistic breakthroughs in landscape painting as he created works inspired and influenced by his own gliding experiences in West Cornwall. The display features 15 major paintings from public and private collections around the world. Closes on 17th January. Admission charges apply. See www.courtauld.ac.uk. • A “ground-breaking” exhibition of works of 18th and 19th century Spanish painter and printmaker Francisco Goya opens to the Courtauld Gallery at Somerset House today. 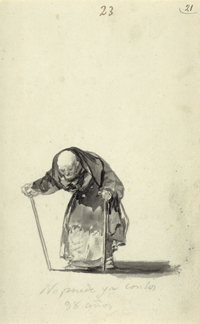 Goya: The Witches and Old Women Album brings together the previously widely scattered pages of one of the artist’s most celebrated private albums in the first exhibition to ever recompile one of them. The album – which features themes of witchcraft, dreams and nightmares and has been reconstructed into its original sequence – is thought to have been made between 1819-23, a period during which Goya completed the murals known as the Black Paintings. Runs until 25th May. Admission charges applies. For more, see www.courtauld.ac.uk/goya. PICTURE: © The Courtauld Gallery (He can no longer at the age of 98, c. 1819-23, J. Paul Getty Museum). • The ‘Wolsey Angels’ have been “saved for the nation” after a campaign to acquire them by the V&A. The museum has reported that more than £87,000 was raised in a national public appeal – around £33,000 of which was raised via donations and through the purchase of badges at the South Kensington premises – which, along with grants including a £2 million National Heritage Memorial Fund grant and a £500,000 Art Fund grant, will be used to acquire the four bronze angels which were originally designed for the tomb of Cardinal Thomas Wolsey, chief advisor to King Henry VIII. The four bronze angels, which have been in display at the V&A, will now undergo conservation treatment before going back on display. For more on the history of the angels, see our earlier post here. For more information on the V&A, see www.vam.ac.uk. • Closing Soon – A Victorian Obsession: The Pérez Simón collection at Leighton House Museum. This exhibition at the former Holland Park of Lord Leighton presents more than 50 rarely exhibited paintings by leading Victorian artists including Albert Moore, Dante Gabriel Rossetti, Edward Burne-Jones, John Everett Millais, John William Waterhouse, Edward Pointer, John Strudwick and John William Godward as well as six pictures by Leighton himself and the highlight, Lawrence Alma-Tadema’s The Roses of Heliogabalus. Runs until 29th March. Admission charge applies. See www.rbkc.gov.uk/subsites/museums/leightonhousemuseum/avictorianobsession.aspx for more. 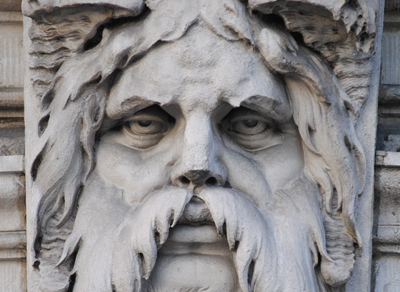 Detail of the stonework on the facade of Somerset House, on the north bank of the Thames. 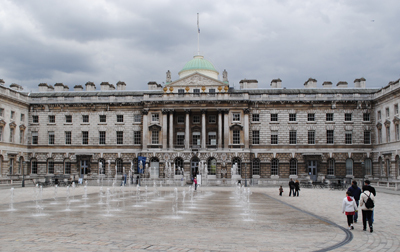 For more on Somerset House, see our earlier post here. Constructed on the site of the Duke of Somerset’s Tudor-era mansion, Somerset House as we know it today owes its origins to a national scheme aimed at creating public buildings in London which would rival those of Continental cities. The campaign led to the passing of an Act of Parliament in 1775 for the construction of a new public building at Somerset House to house government agencies such as the Navy Office, Salt Office, Surveyor General of Lands, the King’s Bargemaster and the offices of the Duchy of Lancaster and Cornwall as well as various learned societies. The former building – which had been worked on by the likes of Sir Christopher Wren and which had been used as a residence for the likes of King Charles II’s queen, Catherine of Braganza, following his death, had fallen into a state of considerable disrepair and was demolished in 1775. William Robinson, secretary of the Office of Works, was initially given the job of designing the new building (much to the discontent of some) but after his sudden death the same year, the task was given to Sir William Chambers, comptroller of the Office of Works and one of England’s leading architects. The basic design was as it appears today – four ranges built around a central court (now named the Edmond J Safra Fountain Court). The Strand Block, located to the north and the most highly decorated of the buildings inside and out, was built first and largely completed by 1780, the Embankment Building (home of the Navy Office) in 1786 and the east and west ranges two years later. When Chambers died with the work unfinished in 1796, it was carried to completion by James Wyatt and declared complete in 1801, despite the fact elements of Chambers’ design were still outstanding. It had cost more than £460,000, in excess of three times Robinson’s original estimate. 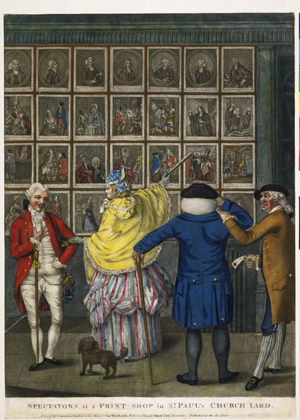 One of the first new occupants – thanks to a decision by King George III – was the fledgling Royal Academy of Arts (it had been one of the last occupants of the former premises) and its focal point was the Great Exhibition Room where exhibitions were held until 1836. Others in the new building included The Royal Society (it remained until 1837 when, like the RA, it moved to Burlington House) and the Society of Antiquaries (it moved to Burlington House in 1874). As well as being home to various offices of the Navy Board (the southern building, where it was housed, contains the stunning, now restored, Nelson stair), Somerset House was also home to the Inland Revenue. 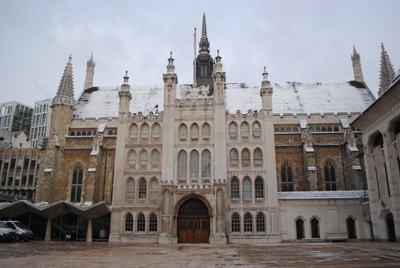 New additions were made to the original design in the nineteenth century – the extension of the south block to the east and addition of a New Wing to the west – and the construction of the Victoria Embankment (see our earlier post here) meant the two watergates Chambers had designed became landlocked. Somerset House no longer rose directly from the water as he’d intended but from a roadway (as it does today – we’ve mentioned this before but you can see the original riverbank by looking through the glass floor of the building’s Embankment entrance). Somerset House is these days home to a range of cultural and artistic organisations – from the British Fashion Council to the National Youth Orchestra and, in the north wing, the Courtauld Institute of Art. And as well as hosting various art installations, the central courtyard is host to an ice-skating rink over winter. For more on Somerset House, see www.somersethouse.org.uk. • The Georgians are under the spotlight in a new exhibition opening at the British Library tomorrow. Georgians Revealed: Life, Style and the Making of Modern Britain explores the ways in which the Georgian world influenced pop culture in Britain today, everything from fashion and theatre-going to our obsessions with celebrity scandals. The display features more than 200 artefacts from the library’s collection and includes Jeremy Bentham’s violin, Joseph van Aken’s An English Family at Tea, rare books and magazines, and illustrations and designs of landmark building’s such as Sir John Soane’s home (and now museum) in Lincoln’s Inn Fields. The exhibition, which is accompanied by a series of events (see the library website for details) comes ahead of the 300th anniversary of the accession of King George I next year. Runs until 11th March. Admission charge applies. Meanwhile, to mark the exhibition, the library has joined with Cityscapes in launching a new Georgian garden installation on the library’s piazza. 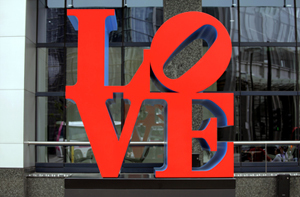 Titled Georgeobelisk, the six metre high installation, will remain on the piazza for five months. A tribute to the four King Georges, it also serves as a reminder that it was also during the Georgian era that the British love of gardening was cultivated. For more, see www.bl.uk/whatson/exhibitions/georgiansrevealed/index.html. PICTURE: Spectators at a Print shop in St Paul’s churchyard © British Museum. • Painting normally housed in “Britain’s answer to the Sistine Chapel” go on display in Somerset House today. The artworks, described as the “crowning achievement” of wartime artist Stanley Spencer, usually grace the walls of Sandham Memorial Chapel but are on display in London while the National Trust carries out restoration work at the Berkshire property. Spencer painted the works – which combine realism and visions from his imagination and were completed in 1932 – after serving as a hospital orderly during World War I. The free display – Stanley Spencer: Heaven in a Hell of War – can be seen until 26th January. For more, see www.somersethouse.org.uk. • Regent Street’s Christmas lights – a preview of the upcoming DreamWorks film Mr Peabody and Sherman – will be turned on this Saturday night. Actor Ty Burrell, director Rob Minkoff and singer Leona Lewis will have the task of switching on the lights at about 7.15 pm while performers will include Passenger, Eliza Doolittle and former Spice Girls Emma Bunton and Melanie C. The event will be hosted by radio presenters Bunton and Jamie Theakston. The street will be traffic free all day and from 3pm to 7pm, Regent Street retailers will be showcasing fashions on a catwalk located just North of New Burlington Street. Programmes will be available from information points on the day. • A new organ was dedicated in Westminster Abbey’s Lady Chapel on Tuesday. The organ was commissioned by the Lord Mayor of London, Roger Gifford, as a gift to the Queen to mark the 60th anniversary of her coronation in 1953. The Queen agreed the organ, which had briefly resided at the Lord Mayor’s residence the Mansion House, should be installed permanently in the Lady Chapel, built by King Henry VII. The new organ was dedicated by the Earl of Wessex. For more, see www.westminster-abbey.org. • Now On: Achievement: New Photographs 2011-2013. Inspiring Britons at the peak of their professions are the subject of an exhibition running at the National Portrait Gallery. The display of recently acquired and previously un-exhibited photographs depict the likes of writer and presenter Charlie Brooker (by Chris Floyd), actress Gina McKee (Mark Harrison) and Skyfall director Sam Mendes (Anderson & Low). Admission is free. Runs until 5th January in Room 37a. For more, see www.npg.org.uk. • The 10th Taste of London festival – London’s biggest outdoor food festival – kicks off in Regent’s Park today and runs over the weekend. This year sees amateur BBQ enthusiasts going head-to-head in a “battle of the BBQs” on Saturday while professionals will hit the grills on Sunday with the winners crowned champions of the Weber BBQ Challenge. Meantime, visitors can experience the food of 40 of the city’s top restaurants, shop at 200 food and drink stalls, enjoy fine wine tasting and watch demonstrations by some of the world’s top chefs including three generations of the Roux dynasty – Albert Roux, Michel Roux Jr and Emily Roux – as well as Rene Redzepi, Raymond Blanc, Ben Tish, Pascal Aussignac and Bruno Loubet. For more, see www.tastefestivals.com/london. • The first ever Paddington Festival – an 11 week showcase of art and culture supported by the City of Westminster – kicks off this weekend. Events include a “puppet theatre barge” at Little Venice and a launch event featuring an appearance by Chucky Venn (Eastenders) and steelpan and performances from local dance group, The Phoenix Dancers, at the Maida Hill Market. For more on the festival and for the full programme, see www.paddingtonfestival.co.uk. Other festivals kicking off this weekend include Shubbak 2013 – an international festival of Arab culture (www.shubbak.co.uk). • On Now: Collecting Gauguin: Samuel Courtauld in the 20s. Opening today, this exhibition at the Courtauld Gallery at Somerset House features the gallery’s collection of works by the Post-Impressionist master Paul Gauguin. The most important collection of Gauguin’s works in the UK, it was assembled by Samuel Courtauld between 1923 and 1929 and includes major paintings and works on paper by along with one of only two marble sculptures the artist ever created. The exhibition, the gallery’s “summer showcase”, also features two important works formerly in the Courtauld’s collection and now on loan – Martinique Landscape and Bathers at Tahiti. Runs until 8th September. Admission charges apply. Meanwhile, The Courtauld Institute of Art’s MA Curating the Art Museum programme is also launching its annual exhibition, Imagining Islands: Artists and Escape, in response to the gallery’s summer showcase. A “trans-historical” exhibition displayed in two rooms, it explores artists’ fascination with other worlds and the search for utopia. Works include a 1799 engraving of Jan Brueghel the Elder’s Adam and Eve in Paradise, Barbara Hepworth’s 1957 work Icon and John Everett Millais’ 1862 painting, The Parting of Ulysses. 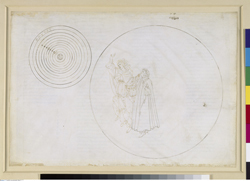 For more, see www.courtauld.ac.uk. • The London Festival of Architecture has returned with a month long celebration of the city’s built form in a program of events including talks, tours and exhibitions. 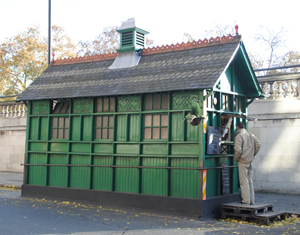 Among the latter is Lesser Known Architecture – A Celebration of Underappreciated London Buildings – a free exhibition at the Design Museum which runs until 22nd July and looks at 10 structures ranging from London Underground Arcades and Cabmen’s Shelters (one of which is pictured) to Nunhead Cemetery. Other events include an exhibition at Somerset House – Nicholas Hawksmoor: Methodical Imaginings – looking at churches designed by Hawksmoor in the late 17th and early 18th centuries (this runs until 1st September), and The Secret Society – A Sculptural Banquet, a large scale installation by artist and designer Kathy Dalwood at Pitzhanger Manor in Ealing, west London (ends this Sunday). For more on the festival, check out www.londonfestivalofarchitecture.org or for fringe events, http://londonarchitecturediary.com. • A new exhibition featuring more than 100 images from space – including images of the colourful dust clouds in which new stars are formed, the aurora on the surface of Saturn and the sight of Earth from the International Space Station – opens at the National Maritime Museum in Greenwich tomorrow. Visions of the Universe takes visitors on a “visual trip through our solar system” with images of the moon, sun, plants and distant galaxies. It looks at the development of telescopy and photography and examines our understanding of our place in the cosmos. Space scientists including Astronomer Royal Sir Martin Rees and The Sky at Night‘s Chris Lintott introduce each section of the exhibition which has at its centre a 13×4 metre curved wall known as the ‘Mars Window’. It has the latest images from NASA’s Mars Curiosity Rover projected onto it. There is a programme of events accompanying the exhibition which runs until 15th September. For more, see www.rmg.co.uk. • Tate Britain is undergoing an overhaul this year with the opening of new galleries and a rearrangement of the institution’s collection. Last month, a new chronological presentation of the institution’s British art opened across more than 2o of the institution’s galleries. BP Walk through British Art features around 500 artworks, dating from the 1500s to present day, by artists ranging from Sir Joshua Reynolds and William Hogarth to JMW Turner, John Constable, Lucien Freud and David Hockney. Meanwhile new galleries have opened dedicated to the works of sculptor Henry Moore and artist William Blake. Around 30 of Moore’s works are featured in the rooms as well as more than 40 of Blake’s works. For more see www.tate.org.uk. • Apsley House, regency home of the Duke of Wellington, is hosting a series of events every weekend in June in the lead-up to the anniversary of the Battle of Waterloo. Interpreters will be at the house, known as Number 1 London, this weekend to discuss the dress and manners of the era while next weekend (15th and 16th June) visitors have the chance to meet some of Wellington’s soldiers and their wives. Gentry from the Napoleonic era will be celebrating the victory at Waterloo on 22nd and 23rd June while on the final weekend of the month, the focus will be on the 200th anniversary of the Battle of Vitoria in 1813, which led to eventual victory in the Peninsular War. For more, see www.english-heritage.org.uk/daysout/properties/apsley-house/. • On Now: Coins and the Bible. This free exhibition at the British Museum looks at how money was referred to in the Old and New Testament, and the use of Christian symbols such as crosses or monograms derived from Greek letters on later coins. These include the first coin, dating from about 450 AD, to depict an image of Jesus (the coin, on loan from the Hunterian Museum in Glasgow, is included in the exhibition). There are also early Biblical fragments on papyrus and vellum lent by the British Library and an ivory panel dating from the early 400s AD which includes an image of the purse of 30 pieces of silver Judas received after his betrayal of Jesus. Held in Room 69a, the exhibition runs until 20th October. For more, see www.britishmuseum.org. • Expect people to be out and about around London at all hours this weekend with the kick-off tonight of Museums At Night, Culture24’s annual festival of after hours visits. This year’s packed program features everything from ‘Arts on Ice’ – a look at the Victorian ice trade – at the London Canal Museum to art nights at the Government Art Collection building, nocturnal tours of Greenwich’s Old Royal Naval College, and, for the first time, the chance for adults to sleep over at Hampton Court Palace and kids at Kensington Palace. Other London organisations taking part include the Handel House Museum, the Kew Bridge Steam Museum, Benjamin Franklin House, the National Gallery and Somerset House (and that’s just a few off the list!). For more information on the night – including a full program of events – check out the Culture24 Museums at Night website. • Government spin comes under the spotlight in a major new exhibition which opens tomorrow at the British Library in King’s Cross. Propaganda: Power and Persuasion examines how state have used propaganda in the 20th and 21st centuries and features more than 200 exhibits including Nazi propaganda and everyday objects such as banknotes and badges. Admission charge applies. There’s a series of events running to coincide with the exhibition which runs until 17th September. For more, see www.bl.uk/whatson/exhibitions/propaganda/index.html. • It’s 10 years since the Museum of London Docklands opened in a converted Georgian warehouse on West India Quay and to celebrate they’re holding an exhibition celebrating the Thames estuary. Titled (appropriately enough), Estuary, the exhibition features the work of 12 artists in a variety of mediums – from film and photography to painting. Entry is free. The exhibition, which opens tomorrow, runs until 27 October. The museum is also holding a special day of family activities to celebrate its creation this Saturday. For more, see www.museumoflondon.org.uk/Docklands/. • On Now: STEADman@77. This exhibition at The Cartoon Museum in Bloomsbury looks at the work of graphic artist Ralph Steadman (who is celebrating his 77th birthday) and features more than 100 original works published in magazines ranging from Private Eye to Rolling Stone, Punch and the New Statesmen as well as his illustrated books (these include Sigmund Freud, Alice in Wonderland Through the Looking-Glass, I, Leonardo, The Bid I Am, and Animal Farm). Runs until 8th September. Admission charge applies. For more, see www.cartoonmuseum.org. 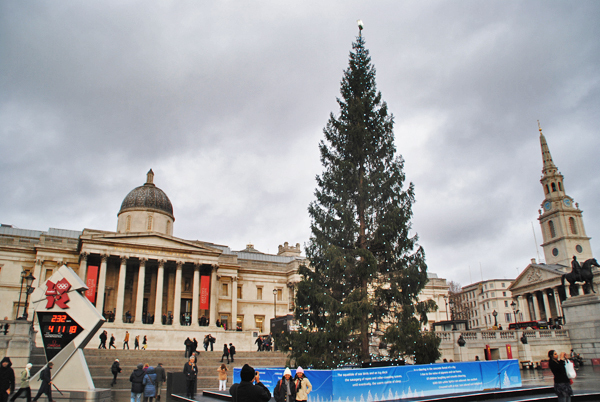 The Trafalgar Square Christmas Tree – donated by the people of Oslo each year since 1947 as a thanks for the support Britain gave to Norway during World War II. On the left is the Olympic countdown clock. 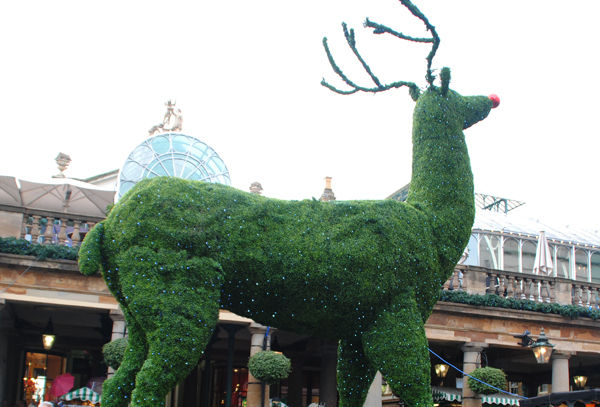 A giant hedge-like reindeer outside Covent Garden, a market since at least the 1600s but once the site of a large kitchen garden for the monks of the Convent of St Peter, Westminster (see our earlier post for more). 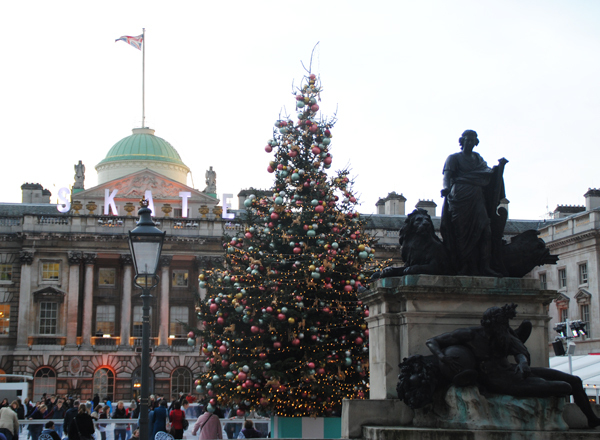 Christmas tree near the ice-skating rink at Somerset House, now an arts and cultural centre but originally built on the site of a Tudor palace in the late 1770s as a home for three “learned societies” – the Royal Academy of Arts, the Royal Society, and the Society of Antiquaries – as well as government offices (including the Navy Board). 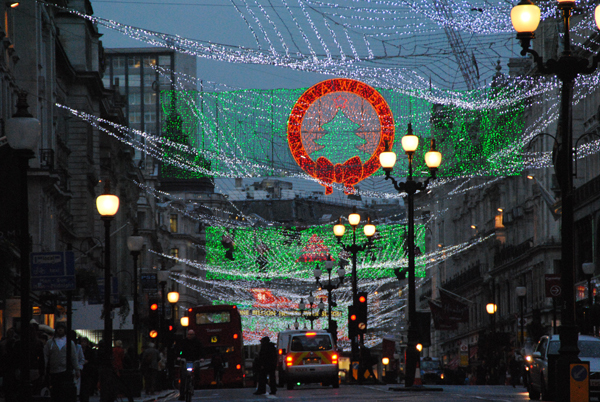 Christmas lights in Regent Street, one of the city’s premier shopping streets, in the West End. It’s current shape was designed by architect John Nash in the early 19th century. 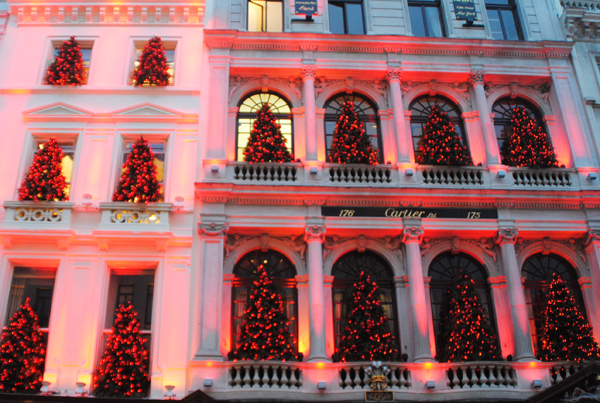 Christmas decorations on the exterior of Cartier in Old Bond Street, Mayfair. 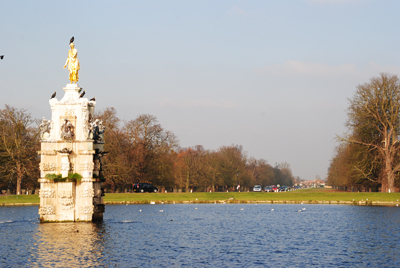 The area takes its name from the May Fair once held there and is now one of the most expensive areas within London (see our earlier post for more). 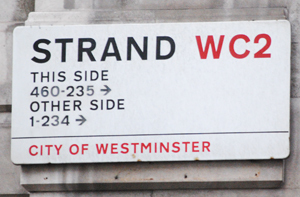 Now one of the major thoroughfares of the West End, the origins of the roadway known as the Strand go back to the Roman times leading west out of the city. Later part of Saxon Lundenwic which occupied what is now the West End, it ran right along the northern shore of the Thames and so became known as the Strand (the word comes from the Saxon word for the foreshore of a river). 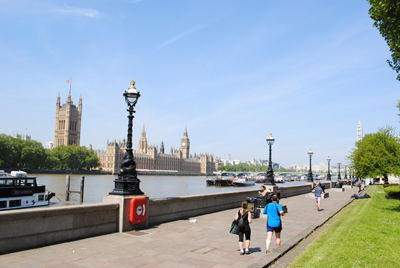 During the following centuries the river was pushed back as buildings were constructed between the road and the river, leaving it now, excuse the pun, ‘stranded’ some distance from where the Thames flows. Sitting on the route between the City of London and Westminster, seat of the government, the street proved a popular with the wealthy and influential and during the Middle Ages, a succession of grand homes or palaces was built along its length, in particular along the southern side. All are now gone but for Somerset House – originally the home of the Dukes of Somerset, it was built in the 16th century but rebuilt in the 18th century after which it served a variety of roles including housing the Navy Office, before taking on its current role as an arts centre. Others now recalled in the names of streets coming off the Strand include the Savoy Palace, former residence of John of Gaunt which was destroyed in the Peasant’s Revolt, and York House, once home of the Bishops of Norwich and later that of George Villiers, favorite of King James I (see our earlier Lost London entry on York Watergate for more). After the aristocracy decamped further west during the 17th and 18th centuries, the road and surrounding area fell into decline but was resurrected with a concerted building effort in the early 19th century (this included the creation of the Victoria Embankment which pushed the Thames even further away) which saw it become a favorite of the those who patronised the arts, including the opening of numerous theatres. Among those which still stand on the Strand today are the Adelphi and Savoy Theatres (this was apparently the first in London to be fitted with electric lights and sits on a site once occupied by the Savoy Palace). Among the other landmarks along the Strand are the churches of St Mary-le-Strand (the present building which sits on what amounts to a traffic island) dates from 1717 and was designed by James Gibbs, and St Clement Danes, designed by Sir Christopher Wren and completed in 1682 (it is now the Central Church of the Royal Air Force). The Strand is also home to the Victorian-era Royal Courts of Justice (it boasts more than 1,000 rooms), Australia House (home of the oldest Australian diplomatic mission), the Strand Palace Hotel (opened in 1907) and Charing Cross Railway Station. • Arctic explorer John Rae has had a Blue Plaque unveiled in his honor at his former home in Holland Park. Although his feats were relatively unsung in his lifetime, the explorer’s expeditions in the Canadian Arctic saw him travel 13,000 miles by boat and foot and survey more than 1,700 miles of coastline. He is also credited with having “signposted” the only north-west passage around America that is navigable without icebreakers. Rae, who died in 1893, lived at the property at 4 Lower Addison Gardens in Holland Park for the last 24 years of his life. • Transport For London is calling on Londoners to share experiences of “kindness” that they have witnessed or participated in while travelling on the Underground. 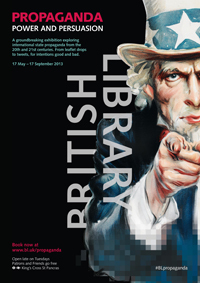 Artist Michael Landy has created a series of posters which are calling on people to submit their stories. Some of the stories will then be shown at Central Line stations (the first four posters go up on 23rd July at stations including Hollard Park, Holborn and Liverpool Street). For more, go to www.tfl.gov.uk/art. • On the Olympic front, the City of London Corporation has announced Tower Bridge will be bedecked with a set of giant Olympic Rings and the Paralympic Agitos during the 45 days of next year’s Games. Meanwhile, the Corporation has also unveiled it will host next week the launch of a London-wide campaign to get people involved in sport and activity in the lead-up to the Games. More to come on that. • On Now: Toulouse-Lautrec and Jane Avril Beyond the Moulin Rouge. The Courtauld Gallery, based at Somerset House, is running an exhibition celebrating the “remarkable creative partnership” between Jane Avril, a star of the Moulin Rouge in Paris during the 1890s, and artist Henri de Toulouse-Lautrec. Lautrec created a series of posters featuring Avril which ensured she became a symbol of Lautrec’s world of “dancers, cabaret singers, musicians and prostitutes”. Runs until 18th September. 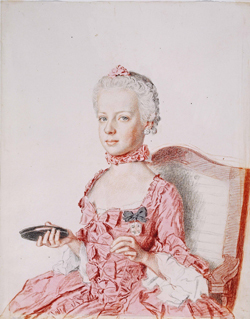 See www.courtauld.ac.uk for more. And so we come to the final instalment in our series on King James I’s London. 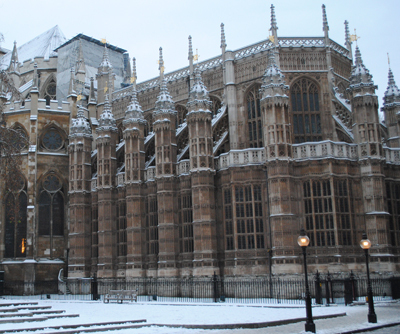 This week we’re looking at Westminster Abbey’s Lady Chapel where King James I – who was crowned in Westminster Abbey in 1603 – was laid to rest after his death in 1625. But before we turn to James himself, it’s worth noting that several members of his immediate family are also buried in the abbey’s Lady Chapel (pictured). These include his eldest son, Henry Fredrick, Prince of Wales, who died in 1612 at the age of 18 (and thus opened the way for his younger brother Charles to become King Charles I). He is buried in the south aisle of the magnificent Lady Chapel which had been added at the behest of King Henry VII between 1503 and 1519 and replaced a 13th century chapel. Three of James’ daughters are also buried in the Lady Chapel – Mary, who died in 1607, aged two, and Sophia, who died in 1606, aged just three days old. Both of them have monuments in the north aisle while their sister Elizabeth, wife of King Fredrick V of Bohemia, who died much later in 1662, is buried near her brother Henry Fitzpatrick. As we’ve previously mentioned, King James I also outlived his wife, Queen Anne of Denmark, who died of dropsy at Hampton Court Palace on 2nd March, 1619, at the age of 43. She lay in state at Somerset House until her funeral on 13th May and was then buried in the south-eastern area of the Lady Chapel where her gravesite is marked by a modern stone bearing her name. Her wooden funeral effigy is one of a collection which can still be seen in the Abbey’s Museum. After James himself died on 27th March, 1625, he was laid in the vault beneath King Henry VII’s monument beside Elizabeth of York, Henry’s wife. 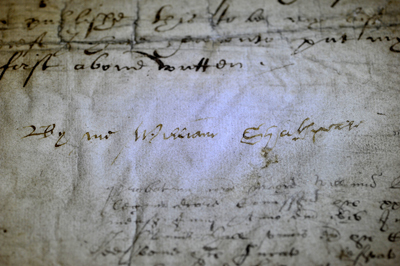 No monument was erected to mark his passing save for a modern inscription placed nearby (in fact Queen Elizabeth I was the last monarch to be buried with a monument above the site – see below). It’s also worth noting that in 1612 – nine years into his reign – James arranged for the body of his mother – Mary, Queen of Scots, who was executed in 1587 on the orders of Queen Elizabeth I – to be transferred from its resting place in Peterborough Cathedral to the south aisle of the Lady Chapel where he had an elaborate tomb erected featuring an elegant white marble effigy showing her wearing a coif, ruff and long mantle. In the north aisle, James had previously erected a marble monument to his predecessor, Queen Elizabeth I and had her body moved from where it had lain in the vault of her grandfather, King Henry VIII, to a place beneath the new monument. Her half-sister, Queen Mary I, is also buried beneath the monument. That’s the final in our series on King James I’s London – it’s by no means a comprehensive look at significant sites in the early Stuart period and we shall be looking at more from the period down the track, but it’s a good start. Our new special series starts next week.